The middle three games of the scheduled seven game 1934 World Series were held on consecutive days in St. Louis. With the teams tied one game apiece, the Series was now a best of five affair. For game three the Detroit Tigers sent Tommy Bridges to the mound. 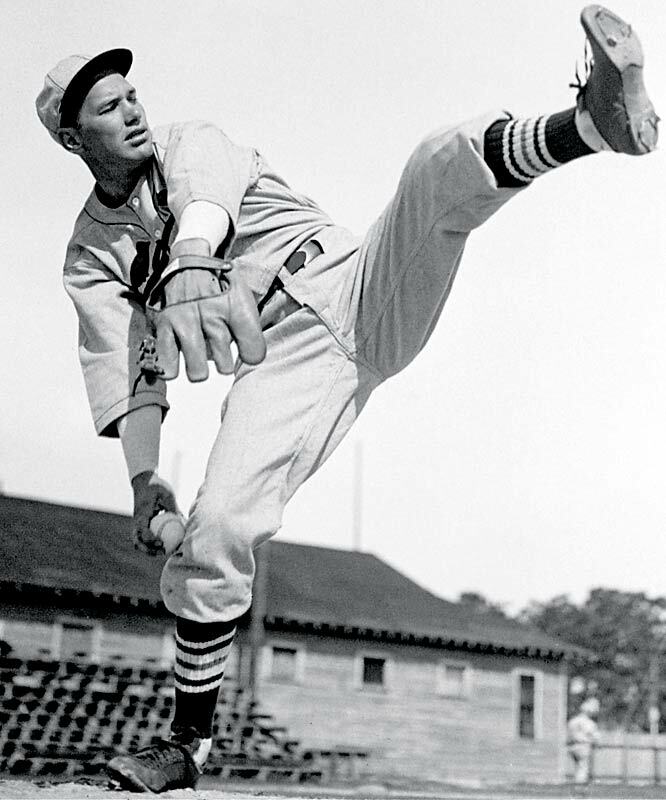 The Cardinals responded with Dizzy Dean’s younger brother, Paul. Sometimes called “Daffy”, a nickname he hated, he was considerably less colorful than his brother, but Paul Dean was every bit as good a pitcher, if only for a few seasons. In game three he was close to masterful. Inning after inning he shut down the strong Tigers lineup. Over eight innings he allowed six hits while walking five (the five walks keep the outing from being truly “masterful”) and striking out seven. No Detroit player advanced beyond second base. In the top of the ninth, JoJo White led off with a single. Dean got the next two men on pop ups. Needing one out for a shutout, he allowed a Hank Greenberg triple that plated White for the Tigers first, and only, run. Another pop up finished Detroit. Meanwhile, the Cards jumped on Bridges for a run in each of the first two innings and two more in the fifth. Pepper Martin led off the first with a triple and scored on a Jack Rothrock sacrifice fly. A Rip Collins single, a double by Bill DeLancey, and another sacrifice fly, this one by Dean, led to what proved to be the winning run. In the fifth St. Louis tacked on insurance runs via a Martin double, a Rothrock triple, and a Frankie Frisch single. The final was 4-1 and St. Louis, thanks go Pepper Martin, Jack Rothrock, and a great pitching performance by Paul Dean was ahead in the Series two games to one. It set the stage for arguably the most famous beanball in baseball history. Game four began as simply another World Series game. It ended as one of the more famous, primarily for one incident in mid-game. The game was a blowout with Detroit winning 10-4. Eldon Auker pitched for the Tigers and scattered four runs, three of them earned, and four walks, while giving up 10 hits. He gave up a run in the second and the third, but Detroit jumped on Tex Carleton for three runs in the third. He was pulled and Hall of Fame pitcher Dazzy Vance made his only World Series appearance ever. He got out of the inning after allowing an inherited runner to score and then wild pitched a run home in the fourth. Going into the bottom of the fourth, the score stood 4-2 in favor of Detroit. Ernie Orsatti led off the half inning with a single. Leo Durocher hit a ball to Marv Owen at third. He flipped to Charlie Gehringer for a force at second, but Gehringer dropped the ball making both runners safe. Spud Davis then pinch hit for Vance. He singled home Orsatti and sent Durocher to third. Davis was slow and a catcher. Manager Frisch decided to pinch run for him. Dizzy Dean, not scheduled to pitch in game four, went in as the pinch runner. That brought up Pepper Martin, whose ball in play scored Durocher and tied the game. But the big news was at second. Martin’s ball went to Gehringer, who tossed to shortstop Billy Rogell for an out on the advancing Dean. Then Rogell fired the ball to first in an attempt at a double play. Dean was running head down and Rogell admitted he threw low to force Dean to slide. Dean seems not to have noticed and he and ball collided. Down went Dean with a blow to the head and all St. Louis fans held their breath. He was carried from the field and rushed to the nearest hospital for x-rays. With Dean gone, the Cardinals offense completely collapsed (remember, the score was tied when Dean went down). They scored no more runs while Detroit erupted for one more run in the seventh and five in the eighth. The most famous of the scoring plays was a steal of home in the eighth by big Hank Greenberg who was never noted for his speed. The final scored ended up 10-4 and knotted the Series at two games each. Here’s another shot of the beaning of Dean, taken from another angle. Dean is on the ground, Rogell is bending over him. 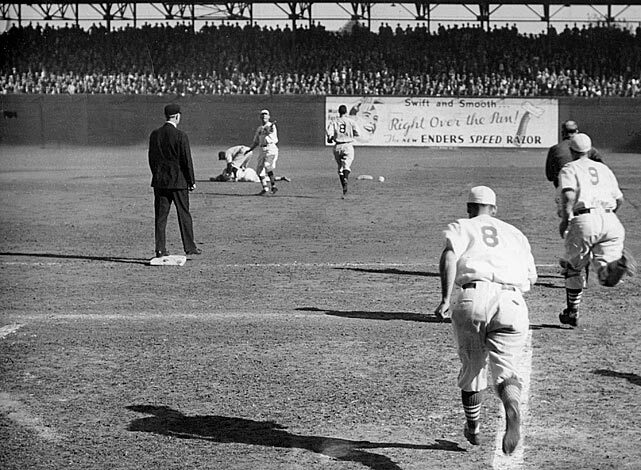 The player in the distance with the dark hat and wearing number 8 is Tigers third baseman Marv Owen. The two Cardinals in the foreground wearing 8 and 9 are Spud Davis and Bill DeLancey. I don’t know which umpire is pictured. On 7 October 1934 the biggest baseball question was “How’s Dizzy Dean doing?” The answer was he was doing well enough to start game five of the World Series. He went eight innings, gave up six hits and three walks while striking out six. He also gave up three runs, two of them earned. In the second inning, he walked Hank Greenberg then saw him score on a Pete Fox double. In the sixth Charlie Gehringer led off with a home run and a Billy Rogell single coupled with an error put Dean nemesis Rogell on third. He scored the unearned run on a subsequent Greenberg sacrifice fly. It was a good performance, particularly after the beaning, but Tigers starter Tommy Bridges was better. He allowed one run, a Bill DeLancey home run in the seventh, gave up seven hits, and walked none. He struck out seven Cardinals and put Detroit ahead in the Series three games to two. With the end of the three games in St. Louis, the 1934 World Series returned to Detroit for game six and a possible game seven. The Tigers were going home needing only one win to gain their first ever championship. The Cardinals needed to win both games to claim their third (1926 and 1931). They would have the Dean brothers on the mound for each game. The first two games of the 1934 World Series were played in Navin Field, Detroit. For St. Louis, manager Frankie Frisch sent his ace, Dizzy Dean, to the mound for game one. 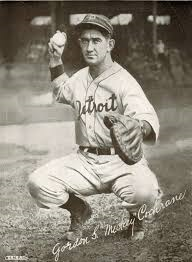 The Tigers manager, Mickey Cochrane, responded with General Crowder. Crowder was in trouble early. With one out in the top of the second, Ernie Orsatti singled. One out later both Dean and Cardinals lead off man Pepper Martin got on with consecutive errors by Detroit all-star second baseman Charlie Gehringer. A Jack Rothrock single plated both Orsatti and Dean to put St. Louis up 2-0. It would not be the last time an error would wreck the Tigers. In the third, Joe Medwick led off with a single. 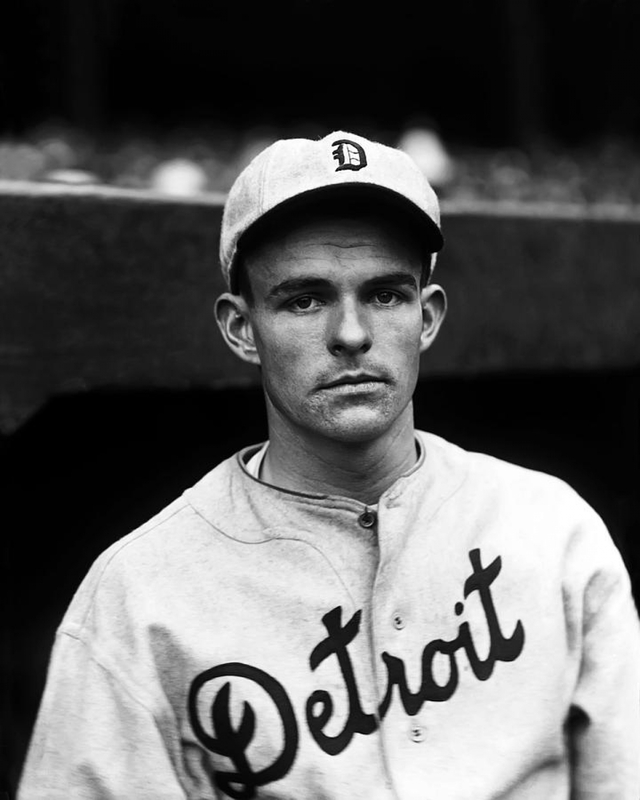 A Rip Collins roller to Gehringer led to a flip to Tigers shortstop Billy Rogell. He got the out on Medwick, but threw the ball away trying to double up Collins, who ended up at second. Then catcher Bill DeLancey hit one to first baseman Hank Greenberg, who fumbled it allowing DeLancey to be safe and letting Collins score all the way from second. Detroit got a run back in the third, but Medwick hit the Series’ first home run in the fifth to put St. Louis back ahead by three runs, 4-1. Then the Cards had the first big inning of the Series. With Firpo Marberry now on the mound for the Tigers (Crowder was lifted for a pinch hitter) in the sixth, three singles, a bunt, and a double plated four Cardinals and put the game away. Detroit got two more runs, including a Greenberg home run, but St. Louis cruised to an 8-3 win. Dean had predicted he’d win game one. He had. Many people claim game two was the best of the 1934 World Series games. With Schoolboy Rowe on the mound for Detroit, the Cards struck for early runs on a single and Orsatti triple in the second inning. In the third, Medwick singled to score Martin and put St. Louis ahead 2-0. It could have been 3-0, but a great throw by Goose Goslin nipped Medwick at the plate for the final out of the inning. From that point Rowe calmed down and shut out the Cards without a hit. He also didn’t walk anybody, giving him 18 men set down in a row. While he was holding St. Louis scoreless, the Tigers were chipping away at Cards starter Bill Hallahan. Doubles by Billy Rogell and Pete Fox gave Detroit its first run in the bottom of the fourth. With the score now 2-1, Hallahan kept the Tigers off the scoreboard until the ninth. Fox led off the inning with a single and went to second on a sacrifice bunt. Gee Walker, pinch hitting for JoJo White, singled to score Fox, then was picked off first to kill the rally. With the game in extra innings, Rowe did the unthinkable, he gave up a hit. It went no where and at the middle of the 12th, the score still stood 2-2. Hallahan had been lifted earlier and Bill Walker stood on the hill for St. Louis going into the bottom of the 12th. With one out he faced the Tigers “G-Men.” He walked both Gehringer and Greenberg, which brought up Goslin, who promptly singled to center to score Gehringer and tie up the Series at one game each. With the Series now tied, the games shifted to St. Louis and Sportsman’s Park, which would host the next three games. Games three and five would be the best games, but it was game four that became memorable for one throw and one immortal line. Over the years, few teams have become as famous as the 1934 St. Louis Cardinals. The “Gas House Gang” is the subject of books, movies, lore, nostalgia, and more than a fair amount of mythology. Whatever one thinks of their skill, they rank as one of the more fun teams to study. For the season the Cardinals batters were almost as formidable as the Tigers. They finished first in hits, runs, stolen bases, total bases, doubles, OBP, slugging, and batting average. They were second in the National League in both triples and home runs. They didn’t strike out a lot, but they didn’t walk much either. The staff was second in ERA and led the NL in strikeouts. They finished third in both hits and runs. All that got the team 95 wins. The infield consisted of two Hall of Famers up the middle and a pair of solidly good players at the corners. Rip Collins played first. He hit .333 and led the team with 35 home runs and 128 RBIs. He walked more than he struck out, which was more common for sluggers in the era than it is today. His WAR was 6.3, which led all the hitters. John “Pepper” Martin played third. He was a leadoff hitter who stroked a .289 average and led the team with 23 stolen bases. His WAR was 1.7. He’d rocketed to fame in the 1931 World Series when he’d rattled then A’s, and now Tigers, catcher Mickey Cochrane with his base running. He’d been an outfielder then and had just moved to third. He was still new at it and fielding wasn’t his specialty. The Hall of Fame shortstop was Leo “The Lip” Durocher. He didn’t hit much, going .260 with neither power nor speed, but he was a good shortstop and with Martin at third, that mattered a lot. His WAR came in at 0.4. 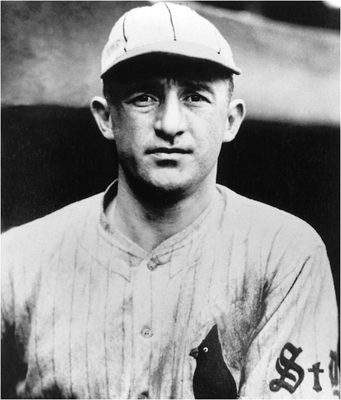 The other Hall of Famer was second baseman and player-manager, Frankie “Flash” Frisch. He hit .305, had 11 stolen bases, still played a good second, and struck out only 10 times all year (in 550 at bats). His WAR was 2.5 and he was considered a better player than manager (and hadn’t yet gotten a bad reputation for his years on the Hall of Fame Veteran’s Committee). Unlike the Tigers, St. Louis had a reasonably deep bench for the 1930s. Burgess Whitehead and Pat Crawford both logged more than 60 games for the team. Whitehead played all the infield positions but first while Crawford periodically took over second and third. Whitehead hit .277, Crawford hit .271. Neither had any power, although Whitehead had five stolen bases in 92 hits. In the outfield, Hall of Famer “Ducky” Joe Medwick held down left field. He was still a few years away from his Triple Crown year, but was already a feared hitter. He hit .319 with 18 home runs, good for second on the team. His 106 RBIs were also second, and he led the Cards with 18 triples (same total as his home runs). All that gave him 3.1 WAR. He was joined in the field by the two members of the team without a nickname. Ernie Orsatti hit an even .300 with 0.2 WAR and Jack Rothrock hit .284 with 0.8 WAR. Rothrock’s 11 homers and 10 stolen bases were both good for third on the team. The backup outfielders were Chick Fullis and Buster Mills. Fullis hit above .250, Mills didn’t, but had the only home run between the two. The catching staff featured two men who were very much alike in their statistics and not much alike as people. Virgil “Spud” Davis was in 107 games, hit .300 with nine home runs, and 2.4 WAR. Rookie Bill DeLancey was in 93 games, hit .316, had 13 homers, and 3.0 WAR. By the time the Series began, he was doing as much, if not more, catching than Davis. Unfortunately, he’d develop tuberculosis in 1935, play only one more complete season, and die in 1946. With the primarily right-handed Tigers staff, he did most of the catching in the Series (he hit lefty, Davis hit from the right side). The staff consisted of an interesting mix of younger guys and old-timers. All together they made for an interesting, but not great, staff. The geezers were Jesse Haines and Dazzy Vance. Both were over 40 and well beyond their peak. Both made the Hall of Fame, but not for their 1934 campaign. After a good to excellent career, “Pop” Haines was mostly a reliever (he started six games). Vance, who was even older, was new to the Cards. He pitched 59 innings and still had, despite the age, some of the old Vance in him (Forty year old Burleigh Grimes also got into four games). He struck out 33 in those 59 innings. For Vance it was his only World Series. Jim Lindsey, “Wild” Bill Hallahan, and Bill Walker were all in their thirties. Lindsey relieved in 11 games and had posted an ERA north of six. Walker and Hallahan had 20 wins between them with Walker’s 3.12 ERA being the better of the two. His 2.9 WAR was third among pitchers. The two youngest were “Tex” Carleton and Paul “Daffy” Dean. Carlton had an ERA over four but got 2.2 WAR out of 16 wins. “Daffy” had 19 wins, a 3.43 ERA, and at age 21 put up 5.1 WAR. He was second on the team with 150 strikeouts. But the staff always came down to Paul’s older brother, “Dizzy” Dean. By 1934 he was already a legend. He was brash, he was opinionated, he was confident, and he was very good. He told the press “Me and Paul will win 45 games.” Some sources say he predicted 50 wins. When told he was bragging, whatever number he predicted, he responded, “It ain’t braggin’ if you can do it.” They won 49 (still a record for siblings). Diz won 30 in 1934, the last National Leaguer to do so. It got him an MVP Award. He struck out 195, walked 75, had an ERA of 2.66, pitched 313 innings, and produced an ERA+ of 159 to go with a team leading 9.1 WAR. By 1934 he was the heart, soul, and most particularly the voice of the Gas House Gang. The Cards and Tigers would face off on seven consecutive days in October. The Series would produce one of the most famous moments in Series history in game seven. And it would also give baseball one of its most famous lines after game four. Detroit hadn’t done much in baseball by 1935. Yeah, they’d had the Wolverines in the 1880s and that team won a National League pennant and one of those postseason series that served as an early version of the World Series, but then the team quickly folded. The American League put a team into Detroit in 1901 and it took a few years to jell into a pretty fair squad. Led by Ty Cobb and Sam Crawford, the team won consecutive pennants in 1907-1909, then fell back and were also-rans through the teens and the 1920s. By 1934, that changed as the Tigers G-Men team finally broke through to win the American League pennant. In the 1930s the name “G-Men” was applied to FBI agents. It was short for “government men” and was considered something of a badge of honor. The Tigers featured three men whose last name began with “G” in the heart of their lineup. Another of their outfielders had a nickname beginning with “G.” It was sort of natural. The team won 101 games and led the league in hitting at .290. It also showed first in slugging, OBP, OPS, walks, runs, and total bases. In in hits, home runs, triples, doubles, stolen bases, it finished second. To top it off they didn’t strike out much (third). The pitching wasn’t quite that good, but they were second in the AL in hits, runs, ERA, and strike outs. They even led the league in fielding percentage. From first around to third, the infield consisted of Hall of Famers Hank Greenberg and Charlie Gehringer (two of the “G” men), Billy Rogell, and Marv Owen. All were in their prime. 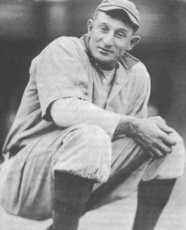 Greenberg, one of the first great Jewish ballplayers, (which would become something of an issue during the Series) hit .339 with an OPS of 1.005 (OPS+ of 156), 26 home runs, 139 RBIs (both led the team), and 201 hits. His WAR was 6.2. If possible, Gehringer was better. He hit .356, had an OPS+ of 149, 214 hits, 127 RBIs, played a wonderful second base, and led the team with 8.4 WAR. Owen at third also came in with a batting average north of three (.317), with a 115 OPS+, 98 RBIs, and 3.3 WAR. Rogell didn’t make a 300 average. He ended up at .296 (hey, somebody’s gotta be the low guy). He had 99 RBIs, 175 hits, an OPS+ of 98 (which seems low to me), and 4.8 WAR. The outfield saw four men do almost all the work. Hall of Fame member Goose Goslin (the third “G” man) was in left. He hit .305 with 13 home runs (second on the team), 100 RBIs, 187 hits, a 112 OPS+, and 2.7 WAR. JoJo White was in center. He hit .313 and led the team with 28 stolen bases. His OPS+ was 108 and his WAR was 2.5. He was spelled by Gee Walker (the last “G” man). Walker hit an even .300 with 20 stolen bases and 1.0 WAR. Pete Fox held down the other outfield slot. He was low among the starters with a .285 average, but was second on the team with 25 stolen bases and produced 0.9 WAR. Other than Walker, the team didn’t have much of a bench. Flea Clifton and Frank Doljack were the only non-catchers (except Walker) to play in more than 15 games (Clifton was in 16). Doljack hit .233 with a home run, while Clifton had under .100. The backup catcher was Ray Hayworth. He got into 54 games hit .293 with no power. The pitching staff featured twin aces: Schoolboy Rowe and Tommy Bridges. Both won over 20 games with ERAs in the middle threes. Each pitched a lot of innings and gave up a lot of hits. Both struck out more men than they walked, but had WHIPs that were high for aces (1.284 for Bridges and 1.278 for Rowe). Beyond them, four men started double figure games, but none of them started 20 or more. Vic Sorrell and 35 year-old Firpo Marberry each started 19 games. Both had ERA numbers in the middle fours and gave up more hits than they had innings pitched. At least Marberry got 15 wins out of it. Carl Fisher, the only lefty, and Elden Auker were the other two pitchers with more than 10 starts. Auker, with 15 wins and an ERA under four did the better of the two. Of the staff, Rowe had 7.1 WAR and Bridges put up 5.0. All these were managed by the primary catcher, Hall of Famer Mickey Cochrane. “Black Mike” (the name had more to do with his temper than his complexion) was still a fine catcher. He hit .320 with an .840 OPS and an OPS+ of 117 to go with 4.0 WAR (which is excellent for a player-manager). He was respected more than liked. The G-Men were a formidable team. They hit well, had decent power, a good pitching staff, an excellent (for the era) fielding team. They were weak in the bench and their pitchers gave up a lot of hits (it was a hitting era). In the World Series, they would face one of the most famous of all Major League teams, the “Gas House Gang” Cardinals. 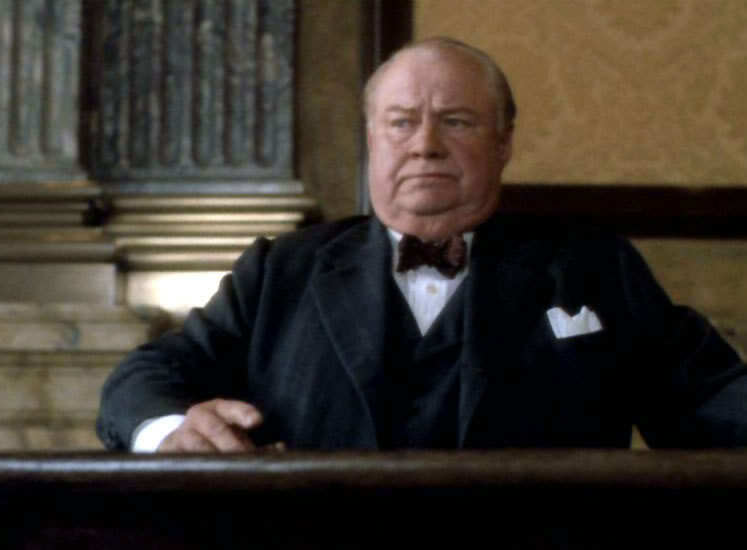 In the movie version of “Eight Men Out” James portrayed White Sox owner Charles Comiskey. Whatever you thought of the flick’s take on the Black Sox scandal, James’ take on Comiskey was wonderful. 1. Joseph Medwick was born in November 1911 in Carteret, New Jersey. 2. 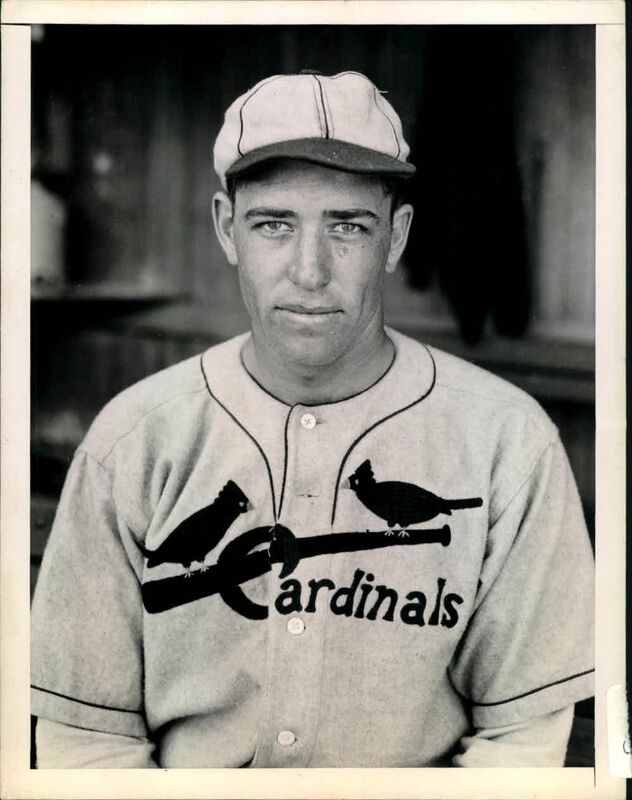 He was a four sport star in high school and signed by the St. Louis Cardinals to play baseball in 1930. 3. Between 1930 and 1932 he played minor league ball in Pennsylvania and Texas. 4. While in Houston, Texas he picked up the nickname “Ducky Wucky.” There are different versions of the name’s origins, but everyone agrees he hated the nickname. Later it was shortened to “Ducky.” He didn’t like that version any better. 5. He made the Cardinals in a late season call up in 1932. He hit .349 over 26 games with two home runs and 12 RBIs. 6. He remained with St. Louis for the rest of the 1930s becoming the primary left fielder for the rest of the decade. 7. In 1934, as part of the “Gas House Gang,” he won a World Series ring. He hit .379 with 11 hits, a home run, a triple, five RBIs, and scored four runs. But he’s become most famous for the aftermath of a base running play he made. In game seven of the Series, he slid hard into third base, upsetting the fielder (Marv Owen). After heading to the outfield, he was pelted with all sorts of fruit and vegetables both delaying the game and littering the field. The Commissioner, Kennesaw M. Landis, had him removed from the game so the Series could continue. Medwick was unapologetic about the slide. 8. In 1937 he won the hitting Triple Crown by hitting .374 with 31 home runs and 154 RBIs. It was his only batting title and his only homer title. He won three RBI crowns, but 1937 was his career high. All that got him the National League MVP Award. He is still the last National Leaguer to win a hitting Triple Crown. 9. With his numbers falling off after 1937, he was traded to Brooklyn in 1940. While with the Dodgers he helped lead them to the 1941 World Series, where he made a famous catch off Joe DiMaggio above the rail in game one. Despite the catch, the Dodgers lost both the game and the Series. Medwick hit .235 in the Series. 10. He played through 1948, becoming something of a nomad in the last four years of his career. He finished his career with a triple slash line of .324/.362/.505/.867, 2471 hits, 205 homers, 1382 RBIs, an OPS+ of 134 and 55.6 WAR. 11. He made the Hall of Fame in 1968. 12. 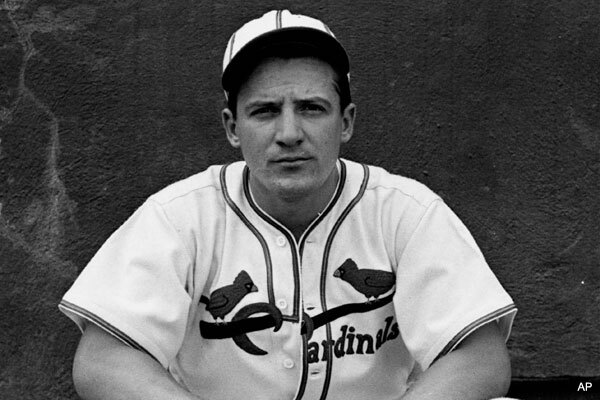 Joe Medwick died in St. Petersburg, Florida on 21 March 1975 while performing duties as a Cardinals batting instructor. He is buried in Sunset Hills, Missouri. The book is by Bob McGee and it was published in 2005. McGee has written a lot on baseball and this book is one of his best efforts. He looks at the history of Ebbets Field from its building to its tearing down. Most of the famous stories you’d expect are here, but so are looks at how the team was run, how the park was built. 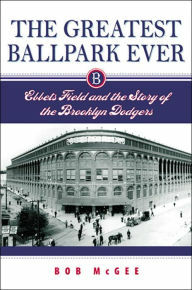 It is, in its earliest pages as much a biography of Charles Ebbets as it is of the park. There’s also quite a bit of information on the borough of Brooklyn and how it changed, how it loved its baseball team, and how it dealt with the loss of the team to Los Angeles. There are pictures and a review of the special ground rules that were unique to Ebbets Field. Knowing I was a Dodgers fan, my son bought the book for me several years ago. I read it in a couple of days (it’s not a hard read–the author writes well) and put it away on a shelf. I get it out every so often to use as a quick reference on something I’m researching. That’s what I just did to write-up the stuff on the 1941 World Series (the book gives a starting place, not a thorough look at the Series) and so decided this was as good a time as any to review it for you. It’s worth the read if you’re interested in the Dodgers, baseball in the first half of the 20th Century, old ballparks, or particular players who wandered through the team before it moved to LA. Amazon has a copy for $20.55 in hardbound edition. Barnes and Noble also sells it. I’m sure there are other places you can find it online as well as at some used book stores. Enjoy. You should all check this out. The Baseball Bloggess at her best and warfare at its absolute worst. And, it was not lost on me – or on anyone else, it seems – that Thursday marked the 100-year-anniversary of the United States’ entry into its first global war. World War I.
Doesn’t it strike you strange that a fan can become as famous as a team or a player? It does me. I don’t mean someone like a President who is famous in ways that have nothing to do with baseball, but someone who is just simply famous for being a fan of the game and of a particular team. I just find that strange. But it’s happened. Let me briefly introduce you to “Howlin'” Hilda Chester, a fan extraordinaire. She was born in 1897. Although there seems to be a consensus that the birthplace was Brooklyn, there’s no actual evidence of that. It’s equally possible she was born in Manhattan’s Lower East Side. She seems to have been pretty good at sports in school (playing for the Bloomer Girls, a local team) but little is known of her education or her family background. Somewhere along the way there was a marriage and a daughter, but the husband is lost to history at this point (she indicated he died). The daughter went on to play some in the All American Girls Professional Baseball League (see the movie “A League of Their Own” for a highly fictionalized version of the league’s first season). Beatrice Chester was a backup third baseman (basegirl?) for the Blue Sox of South Bend, Indiana and the Rockford Peaches. 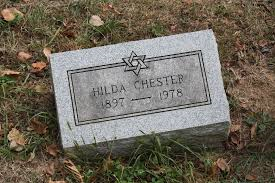 Beatrice Chester had a son, making Hilda Chester a grandmother, but it seems she was close to neither the daughter (who spent some time in the Brooklyn Hebrew Orphan Asylum) nor the grandson. It’s difficult to tell if the problem was economic (lack of money) or emotional (Hilda Chester didn’t know how to raise a daughter). Maybe it was a combination of both. I just don’t know. As you can tell by now, the elements of her personal life are very obscure. In interviews with her that I read it’s obvious she wanted to keep it that way. She sacked and sold peanuts at Ebbets Field for a while, but by the 1930s was becoming famous as a loudmouthed Dodgers fan. The Dodgers instituted Ladies Day once weekly for home stands and Chester managed to get into games for 10 cents. It was, she said, “her kinda price.” In the offseason she sold hotdogs at local racetracks. As far as I can tell these were the two primary sources of income. Apparently the sacking job got her entrance to the ballpark and saved her the dime when it wasn’t Ladies Day. By the mid-1930s she was a fixture at Ebbets Field. 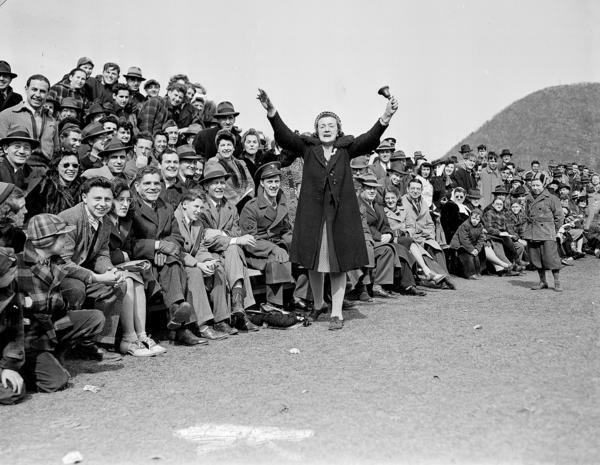 She was in the right field bleachers, she was loud, she was garish, she was baseball savvy, and she was absolutely perfect for the new Dodgers team being built by loud, garish, and baseball savvy Leo Durocher, the new manager. He was a favorite of Hilda’s and he returned the favor. 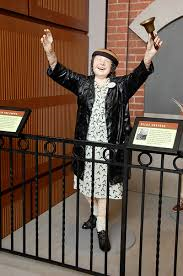 She started out with a frying pan and a spoon as noisemakers but graduated to her famous “cowbell” after a heart attack. 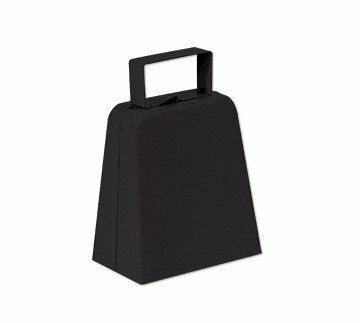 Now a short aside about the “cowbell.” I’ve spent a lot of time around cows and their bells and Hilda’s noise maker looks more like a school bell that teachers used to ring while standing in the doorway than it does like a bell that Gertrude the heifer wore around her neck, but it’s come down in legend as a “cowbell.” Be advised. You can compare them in the pictures below (Yeah, I know I’m getting pedantic). In 1941 she had a second heart attack. While in the hospital Durocher visited her. He became, after that moment, her all-time favorite. When he went to the Giants after 1947, Hilda actually spent some time at the Polo Grounds before returning to Brooklyn and Ebbets Field. By the 1940s she was something of a legend in Brooklyn. There are stories of her passing notes to Durocher about what she thought the Dodgers should do in the upcoming inning. At least one of them seems to be true. She appeared on radio, did bit parts in a couple of movies, and loved being the center of attention. And of course with those things came a certain amount of money. Today she’d be an internet sensation and make money endorsing widgets and whatnot. That wasn’t happening in 1940s Brooklyn and her economic status never seems to have improved more than slightly. With the coming of Jackie Robinson, she also found a team that was winning with great frequency. There’s some question about her relationship with Robinson. As crowds changed in Brooklyn after 1946 (more black Americans were showing up for games), the old hands were being shunted aside to some degree. 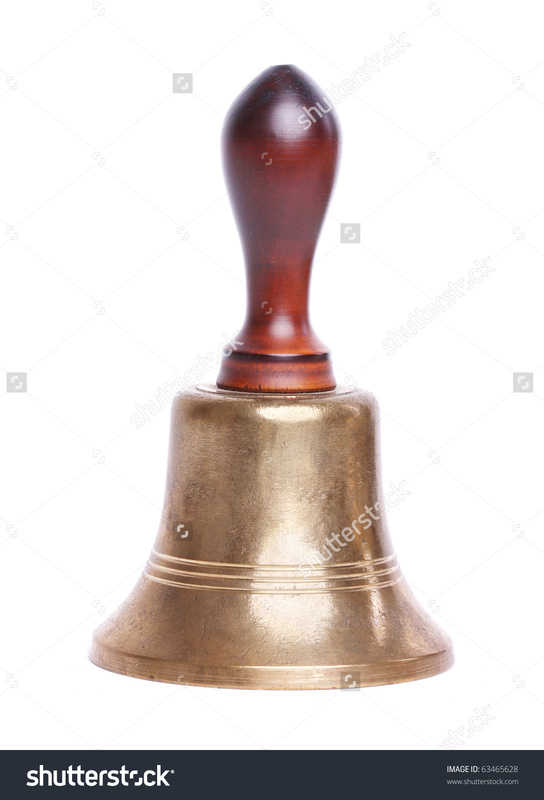 She seems to have resented it a little, but as long as the Dodgers kept winning, she kept showing up with her bell and her voice. It’s tough to tell if the resentment was racially tinged or if she was simply sorry to see the old fans being elbowed out of the stands for new fans. From the little available about the issue, I tend to think it’s the latter. The Dodgers won it all in 1955 and moved on to Los Angeles in 1958. Hilda loved the first, hated the second. She never seems to have transferred her loyalty to the Yankees or to the newly formed Mets. But then by 1960 she was into her sixties and slowing down. She was interviewed when Ebbets Field was demolished, then more or less dropped from sight. She went into a nursing home, got out, and moved into a small place in Queens. She died in December 1978, poor, almost indigent, forgotten. She was buried on Staten Island (no, not in Brooklyn) by the Hebrew Free Burial Association. Not a great ninth inning. But there’s something of a happy ending to all this (maybe we can call it “extra innings”). The next time you head to Cooperstown, make sure you take the stairs to the second floor. There you’ll find a set of life-size fabric-mache statues of fans. I have no idea what fabric-mache is (and am too lazy to look it up), but that’s what they tell me the statues are made of. I’ll take their word for it. Right in the middle, “cowbell” in hand, is Hilda Chester. She made it into the Hall of Fame. I’ve been there twice and given her a salute both times. When you get there, make sure you say “Hi” to her for me. 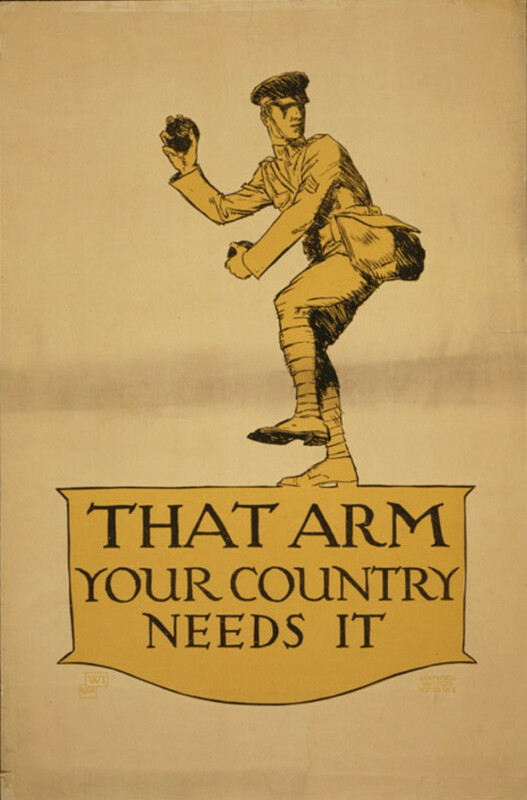 One hundred years ago this month, the United States went to war in the War to End All Wars. Well, it turned out World War I didn’t do what is was supposed to do when it came to ending warfare. But in baseball three great careers came to an end one hundred years ago. 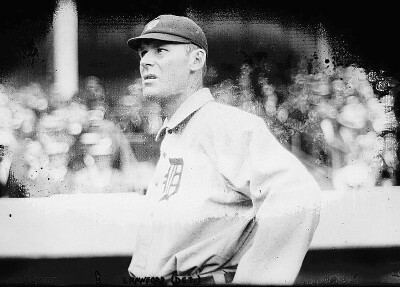 Sam Crawford was a Hall of Fame outfielder in both leagues. 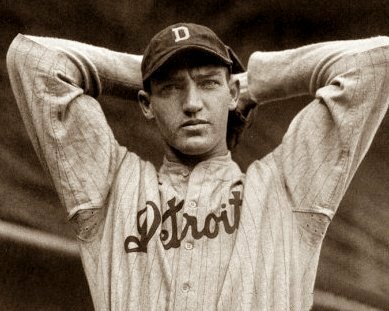 He is most famous today as the “other guy” in the outfield with Ty Cobb at Detroit. But he hit .309, had an OPS+ of 144, and compiled 75.1 WAR. He still holds the record for the most triples. He won two home run titles, three RBI titles, led the league in triples five times (of course he did), has a doubles title, and even led the league in runs scored once. His last game was 16 September 1917. He went 0-1. Ed Walsh still holds the record for the lowest ERA among pitchers with a significant number of innings pitched at 1.82. 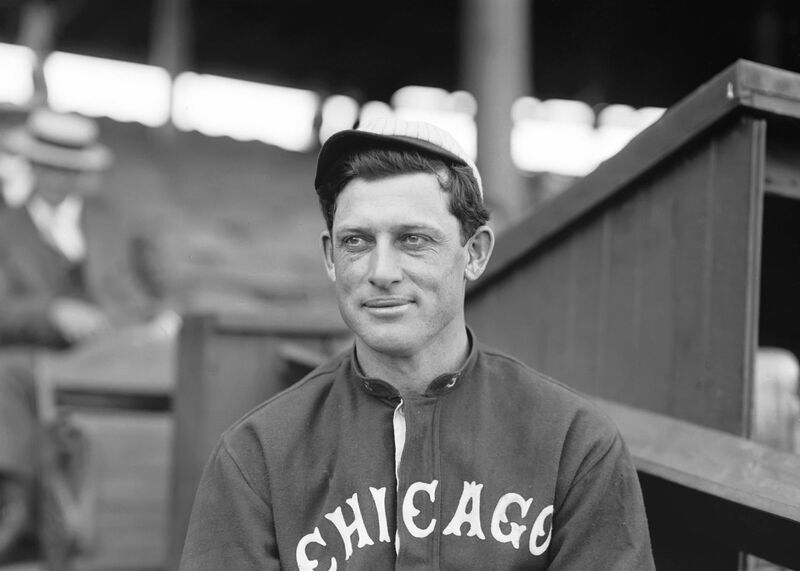 He won two games in the 1906 World Series for the White Sox against the favored Cubs. With that all-time low ERA, he won only two ERA titles, but led the American League in innings pitched four times, had 40 wins in 1908, compiled 57 shutouts, had two strikeout titles, put up an ERA+ of 145 had a WHIP of exactly 1.000 (do you realize how hard that had to be? ), and 63.2 WAR. He closed out his career 11 September 1917 with two innings against the Phillies. He gave up a solo run. The greatest shortstop who ever shortstopped stepped on the field for the last time as a player 17 September 1917, the day after Crawford (and six days after Walsh). Honus Wagner’s career is as legendary as his baseball card (or maybe the card is actually more legendary). He won eight batting titles, four RBI titles, led the National League in stolen bases five times, won seven doubles titles, led the league in triples, runs, hits, total bases, OBP, OPS, slugging, and just about everything else at least once in his career (although he never led the NL in either homers or walks). He had 3420 hits, an OPS+ of 151, and 131 WAR. In context, his 1908 campaign is arguably the greatest single season any player ever had (well, maybe Ruth a time or two, but it’s close). Take a second, as the season begins, to reflect back one hundred years. It was the finale for three Hall of Fame members. And for those curious, the biggest name rookie is probably Hall of Fame outfielder Ross Youngs. You are currently browsing the Verdun2's Blog blog archives for April, 2017.